In an especially deadly form of pancreatic cancer, aberrant cells hang on a transcription factor so dearly that they show how increase of appetite may grow by what it feeds on. The growing craving, researchers suggest, exposes a frailty that may be exploited therapeutically. 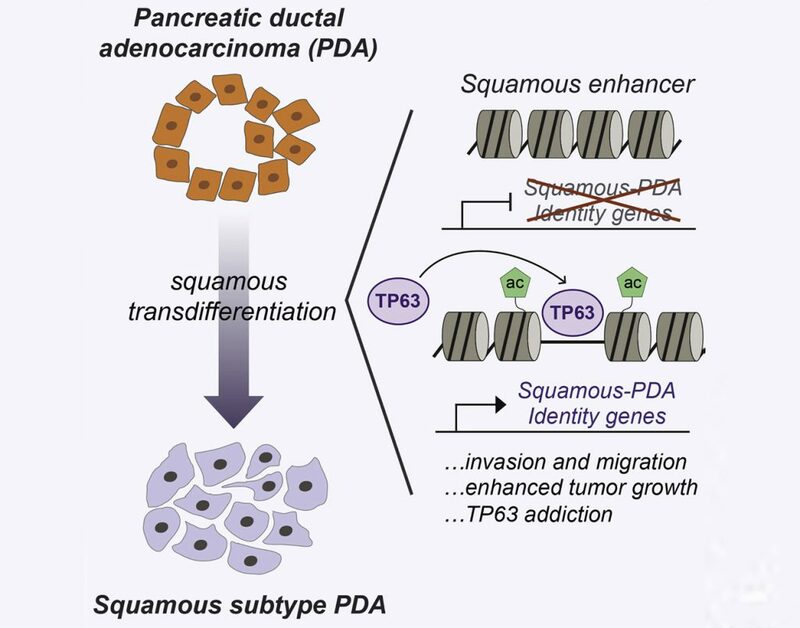 According to scientists based at Cold Spring Harbor Laboratory (CSHL), the transcription factor TP63 is a master regulator of squamous subtype of pancreatic ductal adenocarcinoma. 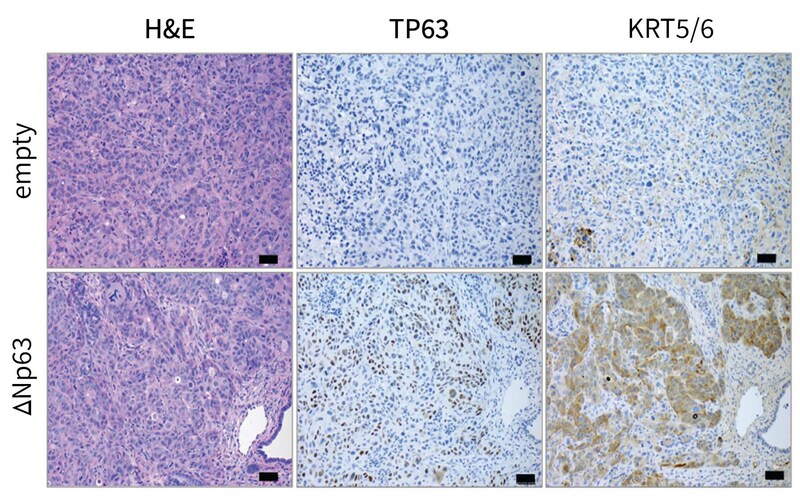 TP63, the scientists say, reprograms the enhancer landscape to drive squamous transdifferentiation, promoting invasion, migration, in vivo tumor growth, and poor prognosis. This pancreatic cancer subtype is especially deadly, noted Timothy Somerville, a postdoctoral fellow in the laboratory of Chris Vakoc, M.D., Ph.D., associate professor at CSHL. The average pancreatic cancer patient, Dr. Somerville explained, will survive for about two years after diagnosis. However, a notable subgroup succumbs to the disease much earlier—before the end of its first year. Dr. Vakoc’s team suspected that a unique protein in the pancreas of these patients was implicated in their dire condition. “We were able to identify a gene [and the protein it produces] called Tumor-Protein 63 (TP63) that is specifically expressed in this aggressive form of pancreatic cancer,” noted Dr. Somerville, who is the lead author of a paper (“TP63-Mediated Enhancer Reprogramming Drives the Squamous Subtype of Pancreatic Ductal Adenocarcinoma”) that appeared November 13 in the journal Cell Reports. Protein 63 (P63) is not normally present within pancreas cells. It is necessary for the creation of specialized cells called squamous cells. These are long, thin cells that are required for the formation of skin. When the researchers noticed P63 at work within the pancreas—nowhere near the skin—they knew something was suspicious. P63 was encouraging pancreas cells to grow into things they had no business being! Further testing revealed that having this squamous-cell-promoting gene inappropriately active within the tumor was making it very easy for new renegade cells to arise and spread to other parts of the body. However, when something is easy, there’s usually a catch—even for cancer.